Holiday Hiring Update: December Retail Hiring Down Nearly 90 Percent, Lowest On Record | Challenger, Gray & Christmas, Inc.
November job gains were revised higher to 462,700 from 451,600, 29 percent higher than November 2016, when 359,000 jobs were added. December’s total is 59 percent lower than the 132,200 jobs added in December 2016. Despite the plunge in December employment gains, retailers added a total of 668,400 jobs in the last three months of the year, a 4.3 percent increase from the 641,000 retail jobs added in the fourth quarter of 2016. These are the highest gains since 2015, when a total of 708,800 jobs were added. 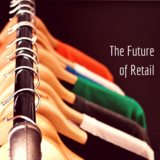 “As retailers find the balance between online and in-store experiences for consumers, the restructuring in this industry will likely include more job cuts and slow hiring,” said John Challenger, Chief Executive Officer of Challenger, Gray & Christmas, Inc.
Walmart is implementing a “Scan & Go” system at 100 of its stores, eliminating the need to interact with cashiers. Similarly, Kroger announced they would introduce a “Scan, Bag, Go” app at 400 of their stores, allowing customers using the app to scan the bar codes on their items and pay as they leave. Challenger’s ongoing tracking of store closures found over 9,000 brick-and-mortar locations were closed in 2017. Meanwhile, retailers announced plans to cut 76,084 jobs last year, according to Challenger. “However, new jobs will be created as retail embraces advances in tech. While these devices might eliminate cashiers, more individuals will need to work the floor to aid customers as they shop,” said Challenger. “As retailers dip into other upcoming tech, such as virtual and augmented reality, additional workers may be needed. Retailers are also turning some of their locations into warehouses, creating delivery and processing jobs for their workforce,” said Challenger. While December’s seasonal retail job growth was the lowest on record, holiday sales boomed in 2017. CBS News reported retail sales hit $598 billion, up $33 billion from 2016. Both Target and Kohl’s posted strong sales gains in stores, and online sales reportedly grew an estimated 24 percent. “The strong 2017 sales figures will likely give way to more job opportunities in retail in the coming years. Those with a background in customer service as well as a strong ability to use new technologies will likely benefit from this pivot,” said Challenger.